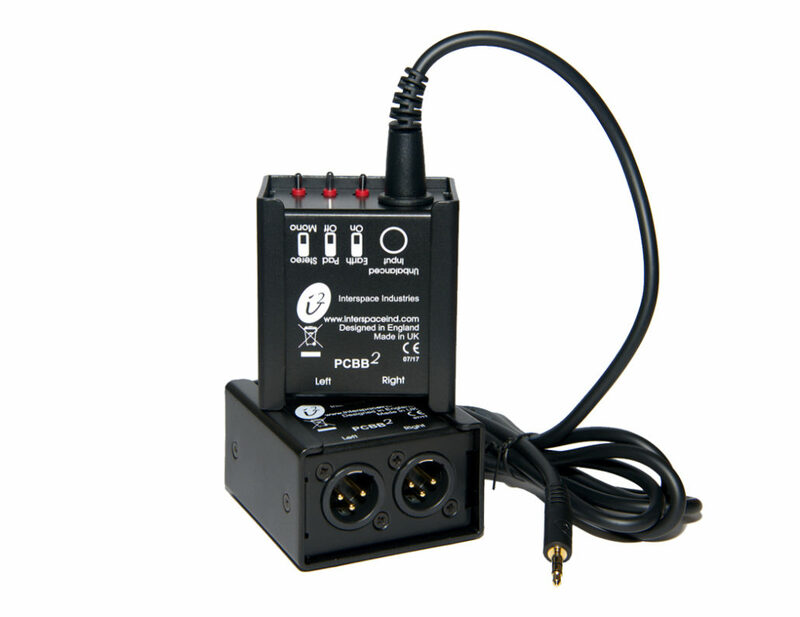 The PC BalBox 2, short PCBB², is used as an adapter from 3.5 mm jack (Aux) to two XLR outputs (Male 3-pin) to forward audio signals. Earth decoupling prevents audible interference loops due to potential differences. With the PCBB2 Earth and Pad (see also product brochure) can be switched on and off. Switching from mono to stereo is also possible. In order to use the stereo signal, two XLR cables must be connected. The reason for this is the symmetrical signal routing when XLR cables are used. 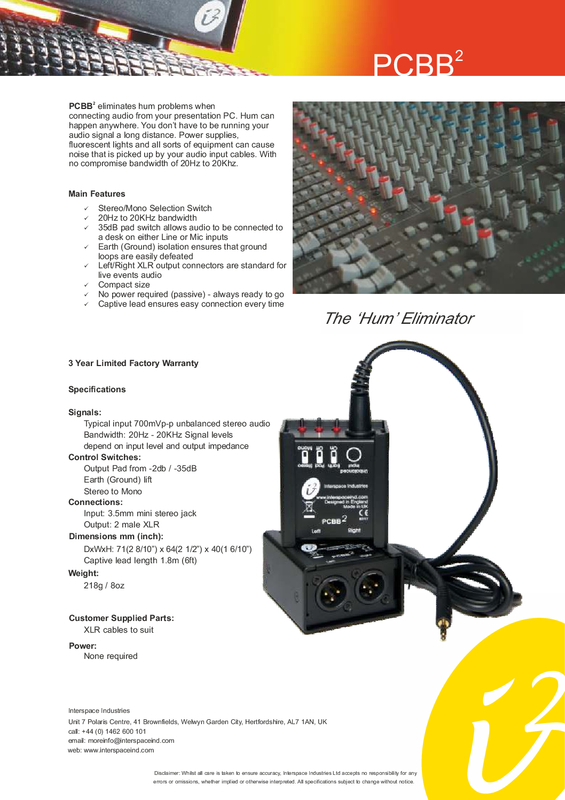 If only one XLR cable is connected, stereo is not possible.